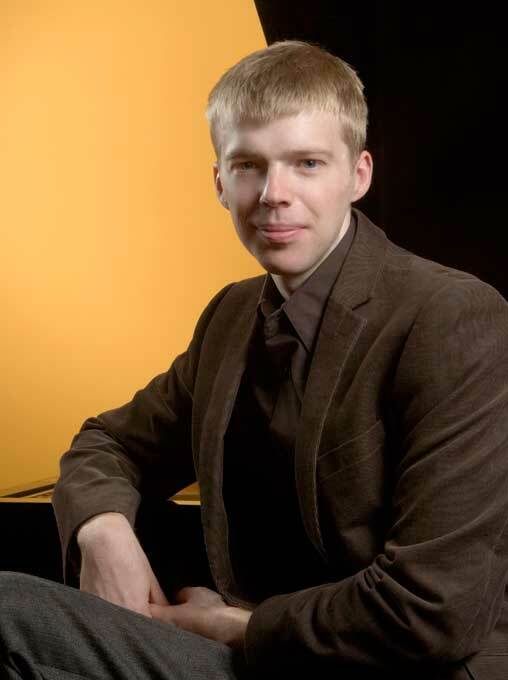 Boston Modern Opera Project (BMOP) had just announced that this young gifted artist will be the Music Alive Composer-in-Residence for two years, from now until 2013. His Air: Concerto for Theremin (2011), with Dalit Warshaw on theremin, will be performed at the January 27 concert at Jordan Hall. BMOP, the adventurous Boston music group, was one of five orchestras nationwide selected for an extended residency under a program of Meet the Composer and the American Symphony Orchestra League. The young Norman (he is 32), who has already been a fellow in two European academies of music and has received a number of commissions, has absorbed his life-long interest in architecture with the compositional techniques to create his style — or, more accurately, multitude of styles. Completed work already includes three pieces for orchestra; five for chamber music with various combinations of instruments; three solo pieces, one for viola or cello and two for piano; and one vocal piece, a lullaby. His appointment as Composer-in-Residence at the Academy of Rome, in 2006-07, resulted in Companion Guide to Rome, with each of its nine movements intended to invoke the Eternal city’s lesser known architectural gems. 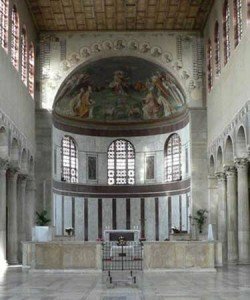 The ninth movement, for Santa Sabina, was the only one composed while he still was in Rome and was actually played in the church. The rest of the movements — Santa Maria della Vittoria (which Norman calls “over-the-top Baroque), San Benedetto, Santa Susanna, Tempietto Bramante, St. Ivo, San Clemente, San Lorenzo Oltre Le Mure, and Santa Cecilia — were written in Berlin, where he also was a fellow at its academy. A similarly appealingly titled composition is Garden of Follies for saxophone and piano, commissioned by the Society of Composers, Inc. and ASCAP. “Follies” here, too, refers to the often extravagant architectural conceits in lavishly landscaped gardens of England, France, and Italy — subsequently imported, of course, to America. Another piece is Farnsworth: Four Portraits of a House. This is what Norman will be doing, and the audience will be hearing, in Boston, starting with a performance of his piece on the January 27th Jordan Hall program. His residency at BMOP will involve him in all its concerts; and he will participate in pre-concert discussions and out-reach programs. Also, I am not a huge fan of Norman’s insistency of live performance. For sure, in what he say he is very right, however his position is missing another aspect– deficiency of general listening culture of recorded events. People mostly (and not only in US) do not have properly developed culture for listening experiences of records music, not to mention the in most of the cases music is being recorded horribly.